This post is sponsored by Balani. All opinions are my own. Several years ago, I traveled to Singapore for work. I arrived on a Saturday and had a couple of days of downtime before my business meetings, so I decided to explore the city. Unbeknownst to me at the time, I had arrived during the Great Singapore Sale, a big event for bargain-hunting locals and tourists. As I walked along Orchard Road, a major shopping area, I noticed a few custom clothing shops. 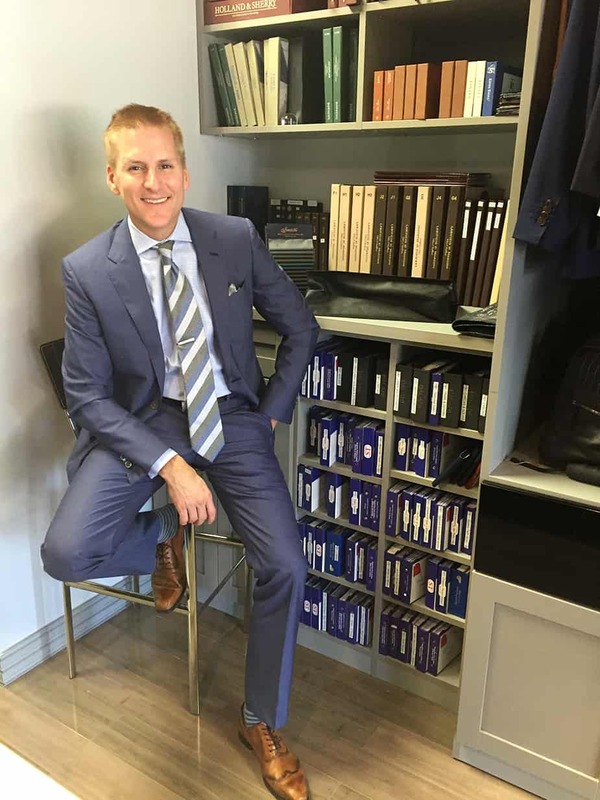 I’ve always liked to wear suits and the thought of getting a custom-made suit intrigued me. I entered one of the shops and the owner approached me, “You look like the type of guy who likes to dress well,” he said. He probably said this to everyone who entered his shop, but I gracefully accepted his compliment. Before I could gain my bearings, the owner led me to a chair and placed several books filled with fabric swatches on the table. I was a bit overwhelmed, but I managed to collect myself long enough to flip through the books. I made a few selections and the owner took my measurements. After spending about 30 minutes in the shop, I purchased three suits, five pairs of pants, and five shirts – all for less than $1000. What a bargain! When I returned to the states, I discovered that it wasn’t really a bargain. Although the clothing did fit me well, the quality was not the best. My suits and pants barely lasted a year before they started to fall apart. I mean they literally fell apart – the lining in the jacket, which was glued on, separated and the stitching in the pants refused to remain stitched. I was disappointed that my clothing didn’t last, but the experience didn’t sour me. It just made me want to get higher quality custom-made clothing. Fast forward to 2015, I received an invitation to a Whiskey tasting event from a custom-clothing brand called Balani. It seemed intriguing so I RSVP’d. At the event, I met Christian Boehm, President of Balani. He was cordial, charming, and well-dressed. We spent a few minutes talking about fashion and he offered me a drink from his private collection. I knew this would be the beginning of a beautiful friendship. I returned to the shop a week later to talk to Boehm about Balani and men’s fashion. I told Boehm about my experience in Singapore and he chuckled. 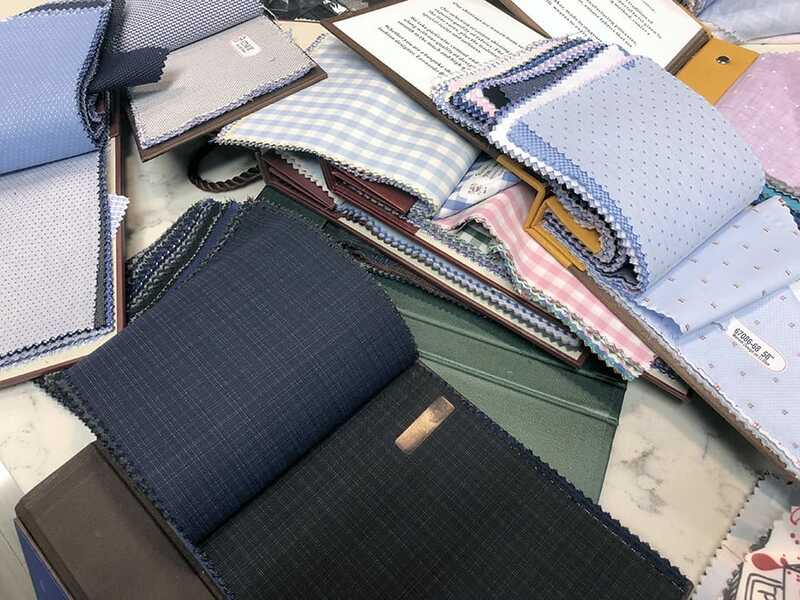 Boehm is quick to point out that Balani delivers a True Custom experience vs. Made-to-Measure. 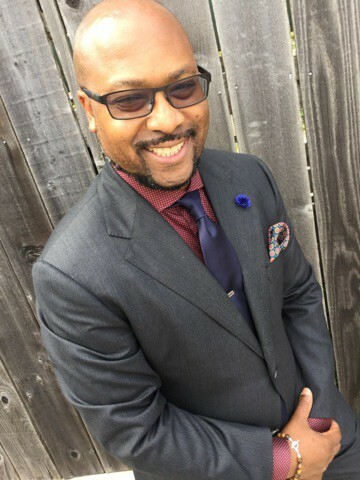 That day, I ordered a suit, pants, and shirt – all of which I still have and love to wear. But once you get a taste of the custom life, it becomes an addiction. I wanted to add a few more pieces to my wardrobe so I sent Boehm a text message. “I’m interested in a basic tuxedo,” I wrote. “You are not a basic guy,” he replied back. He was right. With that in mind, I decided to have Boehm make me something totally different and unique. At the shop, Boehm pulled out several books of cloth swatches for me to flip through. However, I could tell he already had something in mind for me. “I think a burgundy suit would look great on you,” he said as he placed the fabric in front of me. I don’t know how he knew burgundy was one of my favorite colors, but I applauded him for knowing me well enough to select something I’d like. I gave him the green light and he proceeded to take my measurements. 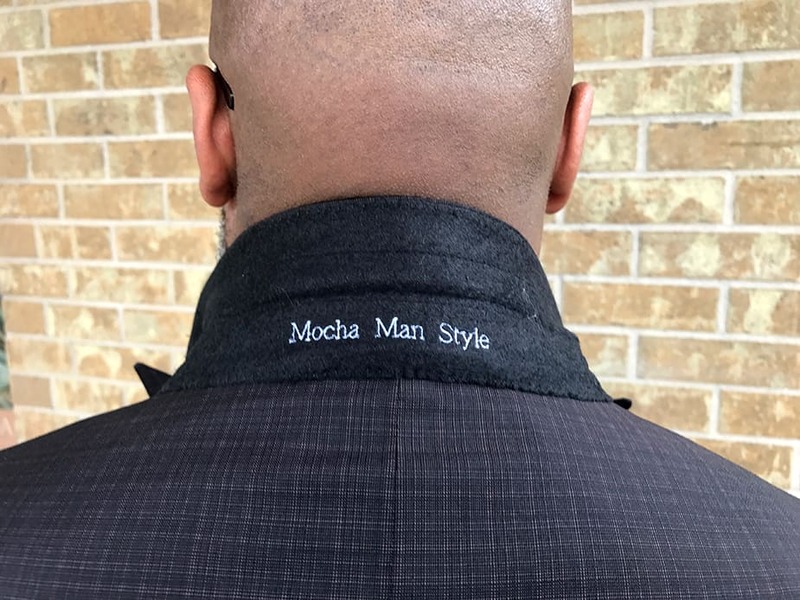 The suit we made for you is a full canvas true custom garment. 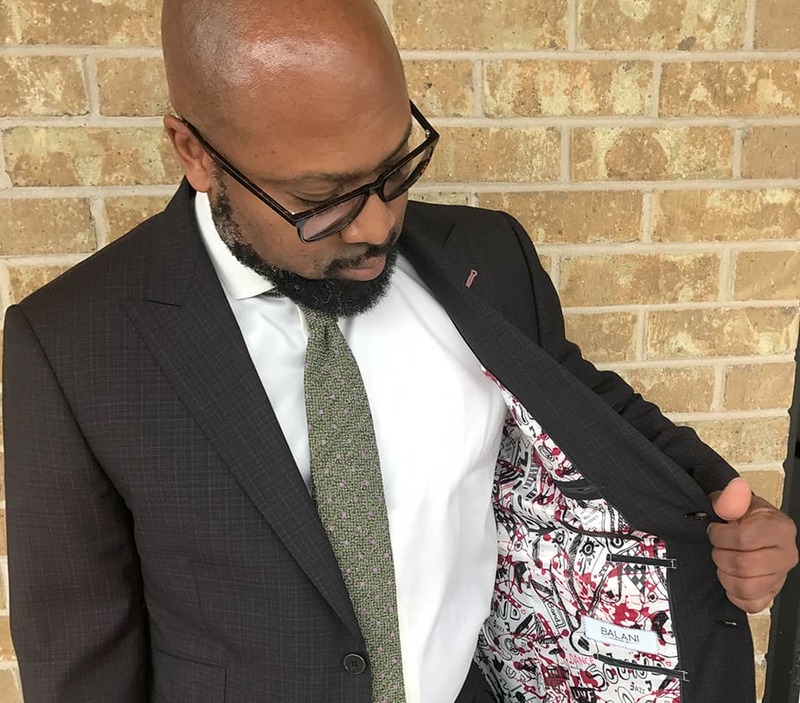 The cloth, from famed Italian mill Vitale Barberis Canonico, is a burgundy self-plaid. The custom lining was designed by a graffiti artist. The buttons are made from water buffalo horns. The shirt is a soft crème 120 thread count fine line twill in 2-ply Egyptian cotton with cranberry monogram. 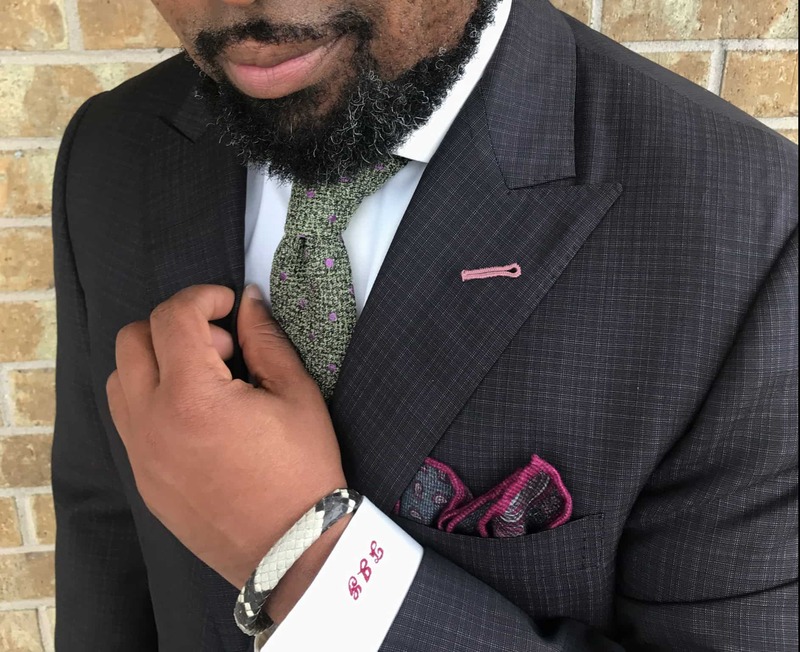 Accessories include grey fancy packet square with cranberry shoestring, black and white snakeskin bracelet, and a sage necktie with lilac dots for accent. I congratulated Boehm for designing an outfit that is anything but basic. He did a great job on my suit and I’m looking forward to wearing it around town. If you want to start living the #CustomLife, check out Balani online. Balani Custom operates in 14 markets including Houston, Los Angeles, and Dallas. 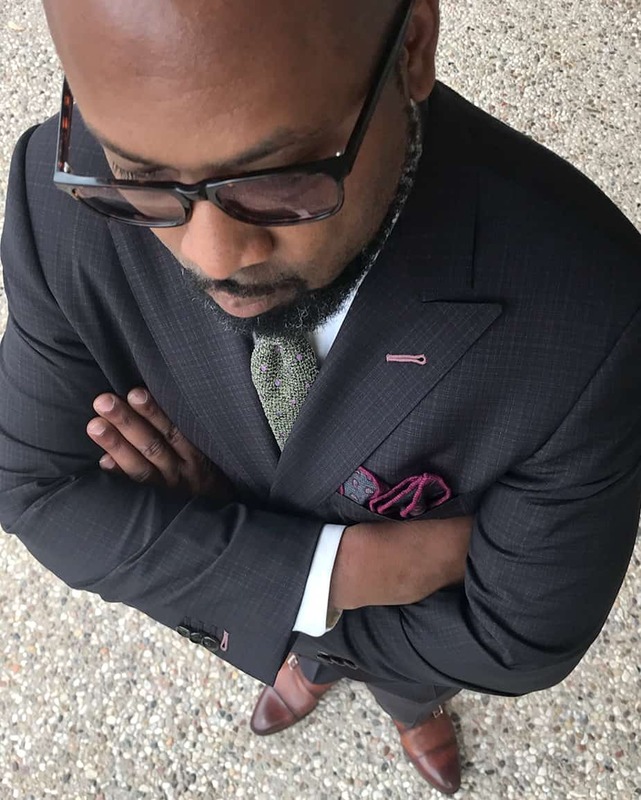 The company has been voted as one of the Top 6 tailors in the world and has been on Inc 500 list since 2014 as one of the fastest growing luxury men’s custom clothing business in the U.S.